Do you Snore? Do you grind your teeth? Do you wake up with a sore jaw or a headache? These can be signs of SLEEP DISORDERED BREATHING or Sleep Apnea! If you’re looking for an evaluation or need an alternative to CPAP and want more information about an oral appliance, call our office for an appointment. Dr. Davidson can work with you and your medical physician to determine the best course of therapy to help ease TMJ, snoring and sleep apnea. A snore guard helps eliminate the rattle in the back of the throat by holding the lower jaw forward. The custom-fit appliance fits over the teeth. A night guard placed on top of the teeth eliminates the grinding and clenching of the teeth that can contribute to jaw pain, headaches and blunted teeth. The guard protects the biting surfaces of the upper and lower teeth. Sleep apnea is a sleeping disorder caused by pauses in breathing. Repeated pauses over a night deplete the brain and the rest of the body from getting necessary oxygen. A custom-fit sleep apnea device moves the jaw forward, reducing air resistance responsible for snoring and sleep apnea and resulting in improved sleep quality and overall health. Dental injuries received during contact sports (including football, soccer and basketball) are preventable with athletic mouth guards. 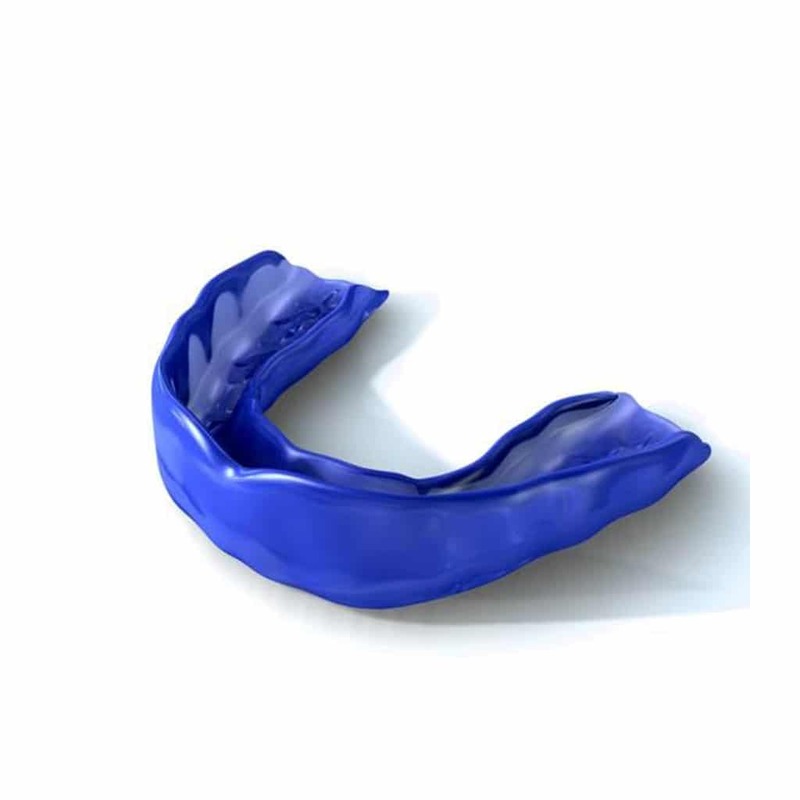 A properly fitted mouth guard can reduce the severity of a hit to the mouth, decreasing dental-related injuries during sports. 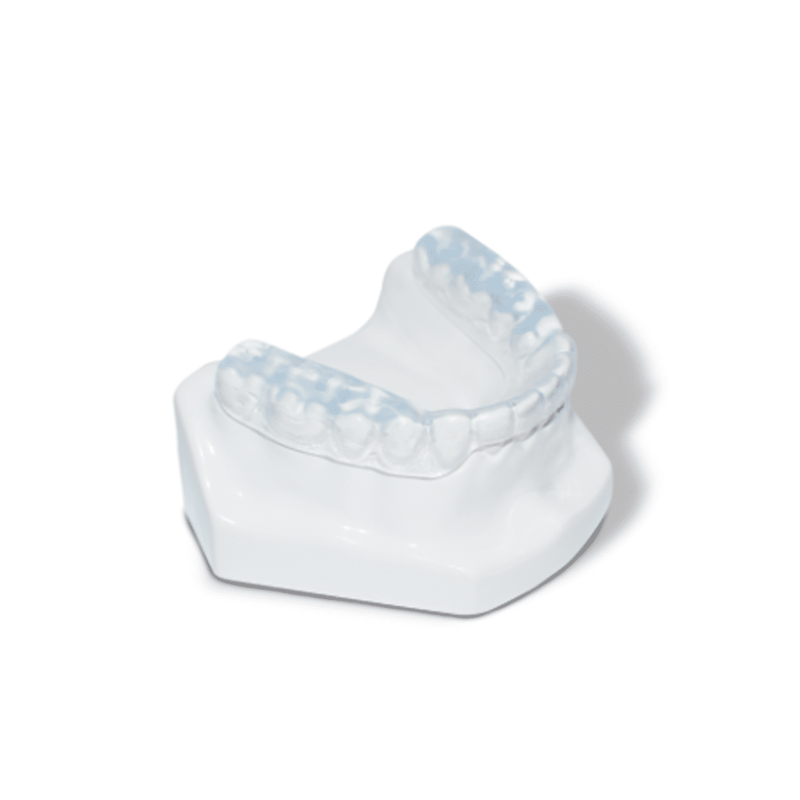 TMJ splints fit over the top of the lower teeth, altering how the upper and lower jaw fit together. By altering the position of the jaw, the temporomandibular (TMJ) joint can open, close and move side-to- side and forward and backward with ease. Sleep apnea affects over 18 million people in the U.S. Unfortunately, it is estimated that most people do not know they have sleep apnea and/or do not follow up with treatment due to intolerance issues or lack of information. When sleep apnea remains untreated it can lead to serious health implications such as high blood pressure, heart disease, stroke, brain damage, diabetes, depression, obesity, and impotency. Millions of people struggle with their CPAP. Contact us if you’re interested in learning more about our oral appliances as a vital treatment solution. Untreated sleep apnea can be a contributing risk factor in high blood pressure, heart disease, stroke, diabetes and depression. There are five times greater risk of dying from cancer when you have untreated sleep apnea. Snoring: Is it keeping your bed partner awake? Snoring is more than an annoyance to those around you; it may be an alarm bell indicating a much more serious problem like sleep apnea. Snoring can indicate a decrease in sleep quality or quantity. Inadequate sleep can lead to daytime fatigue, irritability, weight gain, memory loss, acid reflux, headaches and other health ramifications. In addition, if your snoring is so loud that your bed partner can’t sleep, both of you can be suffering these effects because you aren’t getting quality sleep aat night. Sleep apnea is defined as a potentially serious sleep disorder in which breathing repeatedly stops and starts. A person with obstructive sleep apnea may experience shallow breathing and possible pauses in breath, which may look disturbing. The breathing interruptions can last anywhere from a few seconds to minutes per episode. These disturbances cause restless sleep which can make someone feel extremely fatigued during the day. They can also complicate and worsen many common health conditions like high blood pressure, diabetes, depression, erectile dysfunction, and stroke. Sleep apnea also raises your risk of dying during treatment for cancer. Sleep apnea treatment involves maintaining an open airway during sleep and preventing the airway from collapsing. Treatment options include: a CPAP machine, an oral appliance or various types of surgery involving the nasal and/or oral airways. The blocked airway is caused by an obstruction in the airway anatomy that limits or prevents air from passing through the airway. An example of oral devices are also shown above. How Does an Oral Appliance Work and When Is It Used? 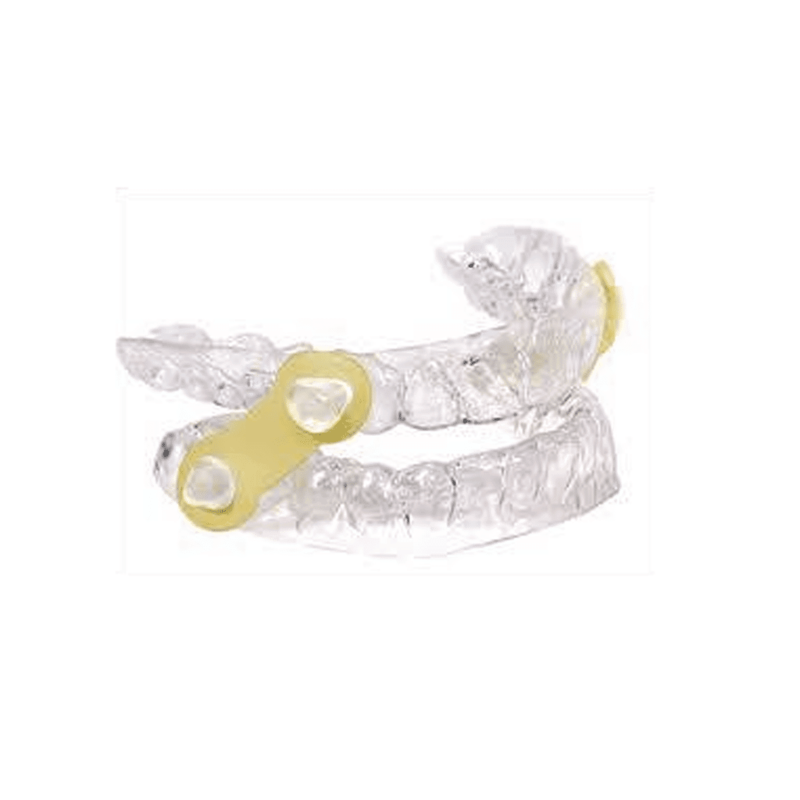 An oral appliance is a custom fabricated mouthpiece that is like an orthodontic retainer or a sports mouth guard. The appliance is worn over the teeth and it functions to keep the airway from collapsing during sleep. Airway maintenance is achieved by comfortably repositioning the lower jaw and tongue forward or by restraining the tongue to keep the airway open. The American Academy of Sleep Medicine recommends oral sleep appliances as a first line treatment option for individuals with mild or moderate sleep apnea or for those who are unable to use CPAP successfully. Oral appliances are also considered for those who are not candidates for surgery or for those who do not prefer to pursue airway surgery. What Are the Benefits of an Oral Appliance? 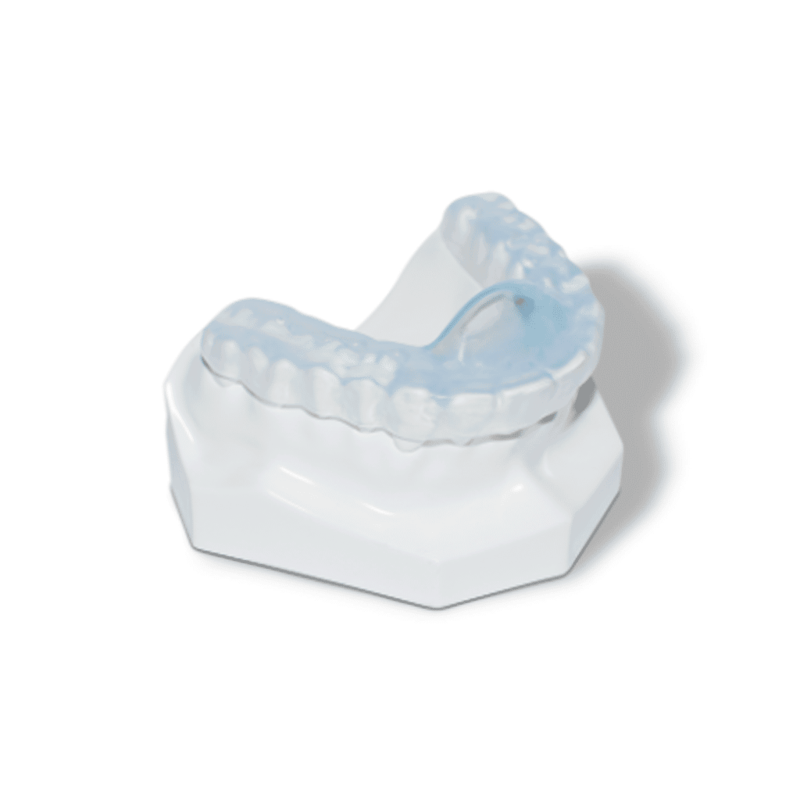 Oral sleep appliances can be a comfortable and convenient treatment option in the management of snoring and sleep apnea. For those that cannot tolerate a CPAP, they are easy to use, travel-friendly and covered by many medical insurances. These appliances can also protect teeth and treat tmj. Does Insurance Pay for Oral Appliances? Yes. Many medical (not dental) insurance companies pay for the cost of oral sleep appliance treatment if proper medical protocol is followed by an experienced and qualified provider. Am I Eligible for a Home Sleep Test? Home sleep testing is a recognized procedure for the diagnosis and/or monitoring of sleep disordered breathing. If you meet the following criteria, you can take a home sleep test. Understanding the options you have for treating your TMJ and Sleep Apnea starts with a consultation at our Olathe Family Dental Office and our Stilwell location.